Absolutely beautiful 53.92 acres w/2 homes & huge Barn/gar w Workshop. Several sheds, outbuildings, hay meadow & location make this an excellent choice for Country Living! 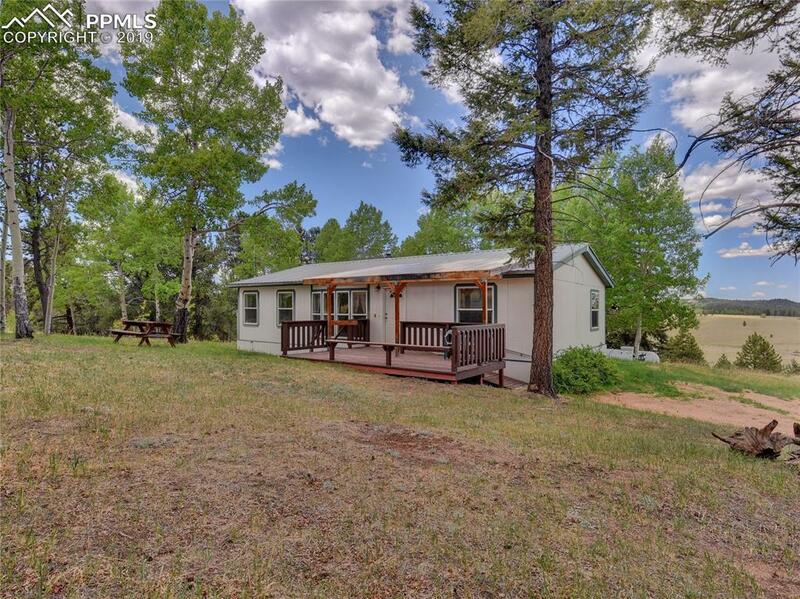 Homes are solid but could use some TLC, lots of character here and spectacular views at the base of Pikes Peak; walk to National Forest for hunting & endless exploring, borders Elk Refuge, across from Mueller State Park, minutes to the real world but exceptional in privacy and personal space. 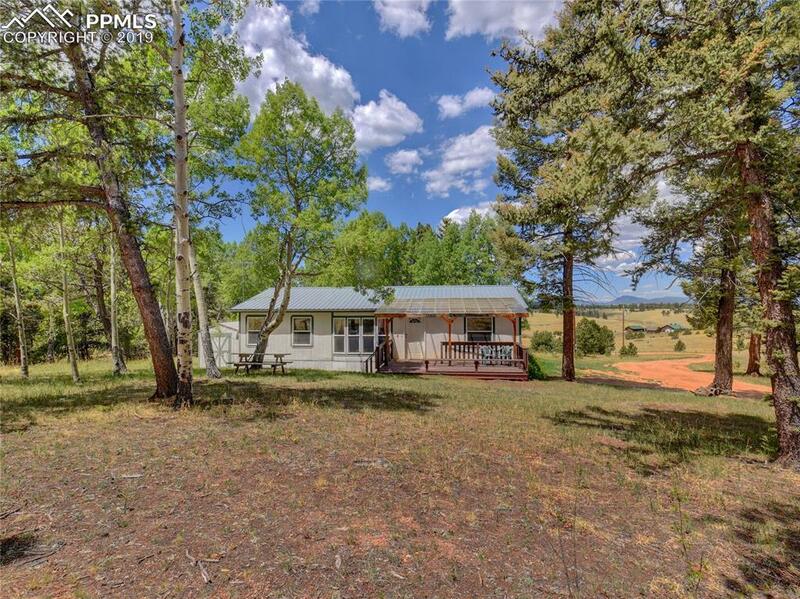 Perfect Elk, deer, mtn lion, bear habitat! 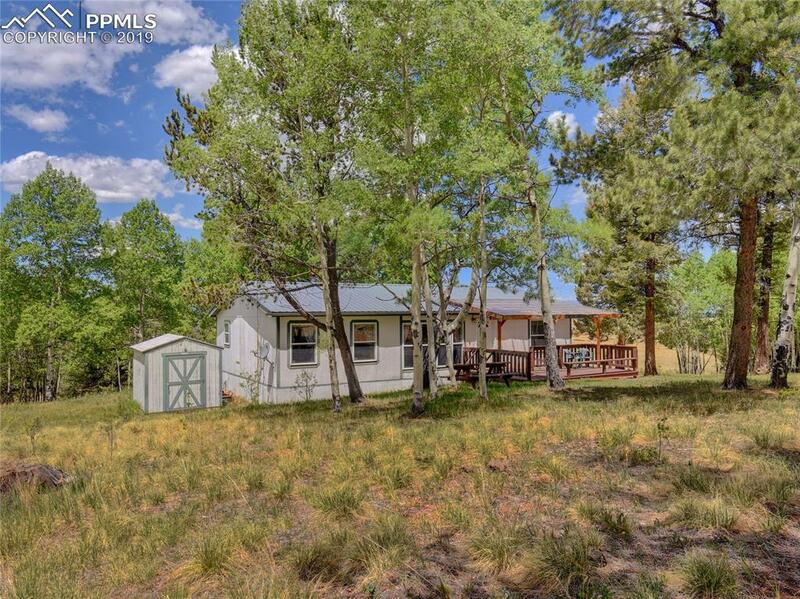 The two homes are perfectly suited for living and guests; Measurements are for the main home, some tlc needed on both but they offer great ranch style living. 2nd home is 1997/3/2 1188 sf. Each is situated to take advantage of these wide open Western views and sunsets overlooking the hay meadow. Watch your ponies play in the lush grass! Saddle up and head to the high country and wander for miles to Catamount reservoirs or one of the many Pikes Peak Trails! 3 Springs, 2 wells, perimeter fence in good condition. 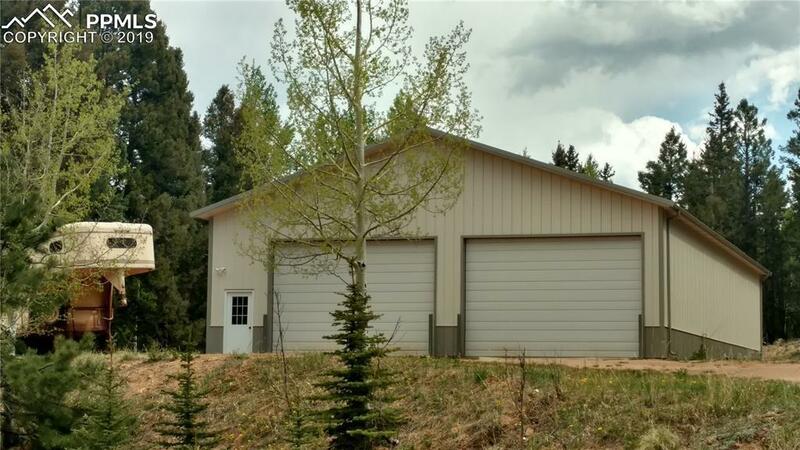 Its all about the land here located just minutes from Divide and Woodland Park but so far away.....Come and make this your Colorado retreat in the beautiful high country! Listing provided courtesy of Your Neighborhood Realty, Inc..